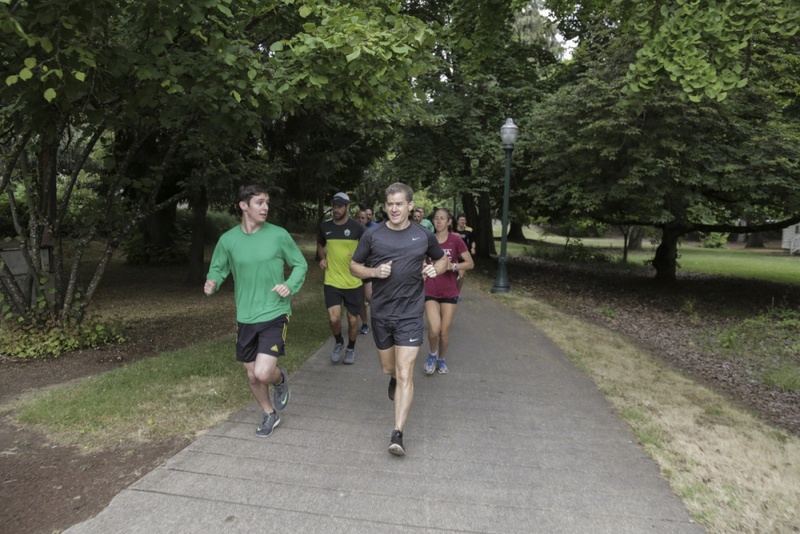 Students and their families are invited to a special Spring Family Weekend edition of Run With a Researcher, an opportunity to run or walk with some of the UO’s world-class faculty members while exploring the famed Pre’s Trail on Saturday, April 29. Learn how nanosilver prevents stinky buildup in sweaty shirts from chemist Jim Hutchison. Discover the secrets behind designing awesome from marketing professor and former Disney “imagineer” Troy Campbell. Ask biologist Bill Cresko about leafy sea dragons, pipefish and seahorses. Clark Honors College history professor Melissa Graboyes will share her work on African and medical history and global health. Find out more about the digital transformation of journalism from Seth Lewis. These are just a few of the faculty members lined up to lead the runs. Meet at the Erb Memorial Union’s O Desk at 8 a.m. Choose from a flat, 3.1-mile walk or 4.5-mile run. All paces are welcome and all participants get a free t-shirt. For more information, go to http://uoregon.edu/researchrun.